The secluded, almost convent-like, environment of a women's college in 1930s Oxford provides the claustrophobic setting for Gaudy Night. Harriet Vane, a one-time murder suspect (the story of her acquittal owing to the detective work of Lord Peter Wimsey is told in Strong Poison) and a successful author of detective stories herself, returns to Shrewsbury College for the first time since graduating. A spiteful and vicious drawing is planted on one of the female graduates during the Gaudy weekend and this prefaces a spate of further poison-pen incidents a room-ransackings which the College Faculty ask Harriet to investigate. The Dorothy L. Sayers' novel is tautly-plotted as well as tense in atmosphere. While the criminal action of the novel never actually descends to murder, Sayers makes much of the tensions which can arise among groups of women living in close proximity. The contemporary cultural conflict between the dependent, feminine housewife and mother, and the independent, academic celibate is played out here in Gaudy Night. However, as the spitefulness and violence escalates, it becomes clear that Harriet herself is caught up in the crossfire as her own academic objectivity is compromised by her relationship with Lord Peter Wimsey, to the extent that he has to step in to assist her in her detective task. 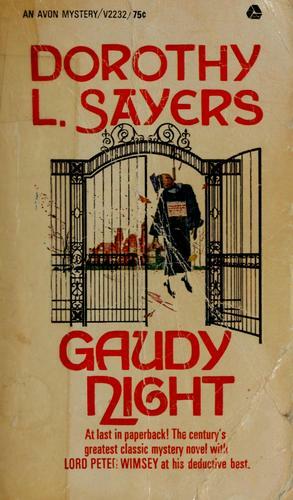 More than a mere puzzle-solving problem, Sayers concerns herself with character development and psychological study, thereby introducing a more realistic element into her version of Golden Age detective fiction. Dorothy Leigh Sayers was an English writer and scholar, born at Oxford in 1893, the only child of an Anglican clergyman. She studied medieval literature at Oxford (Somerville College), being one of the first women to graduate (1915) from that university. Her first published writings were two volumes of verse, (1916) Op. 1 and (1919) Catholic Tales. She worked for several years writing advertising copy, until she was able to support herself by the sale of her books and stories. During these years she joined a motorcycle gang, fell in love with a member, and bore him a son, Anthony. A friend of mine remarks: "What a shame that she did not convert C S Lewis and his friends to motor-cycling. I can see them now, cruising down the road seven abreast, at the sacred speed of 153 miles per hour [a reference to numerological speculations about John 21:11], shrieking their dreaded war-cry of Media Via! They might have permanently altered the history of Anglicanism." In 1926 she married a divorced man, Capt. Atherton Fleming, a war correspondent and veteran of World War I. He had encountered poison gas in the war, and suffered physical and emotional difficulties for the remainder of his life. He died in 1950. Miss Sayers' first commercially successful writings were detective fiction, and she eventually rose to the very top of that field. In Howard Haycraft's The Art of the Mystery Story, a collection of every notable essay on the detective story written before 1948, her name is mentioned more frequently than that of anyone except Sherlock Holmes. 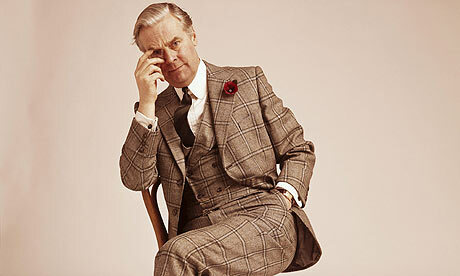 She wrote mostly about Lord Peter Wimsey, a wealthy gentleman and scholar, lover of rare books and fine wines, who solved detective cases because he enjoyed it, and was good at it, and because it was a job worth doing. 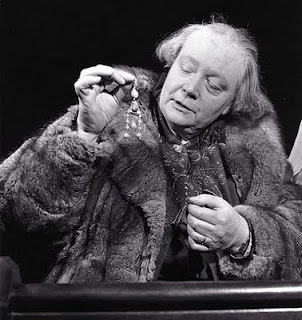 Dorothy L Sayers died 17 December 1957 (Encyclopedia Americana) or perhaps the next day (Who Was Who), leaving her translation of the Comedy unfinished. The last thirteen cantos and the notes and commentary to the Paradiso were supplied by her friend and fellow scholar, Dr. Barbara Reynolds.